CaliforniaVolunteers | The state office that manages programs and initiatives aimed at increasing the number of Californians engaged in service and volunteering. The state office that manages programs and initiatives aimed at increasing the number of Californians engaged in service and volunteering. Sacramento, CA – Yesterday, May 2, 2017, California presented the 2017 Governor’s Volunteering and Service Awards and the Hoffman Prize to honorees that exemplify what it means to go above and beyond in the world of service and volunteerism. Chief Service Officer Karen Baker presented the awards to the honorees in the Governor’s Council Room in the State Capitol in Sacramento. The Hoffman Prize recognizes an exceptional California business executive who demonstrates outstanding and impactful work fostering volunteerism in his or her local community, the State of California, the nation, and the globe. Diane Solinger and her team are dedicated to helping Googlers volunteer and give around the globe with particular emphasis on aligning Googlers skills with Google.org investments. She manages a giving budget of over $50 million annually, which is leveraged to support Googlers interests in philanthropic giving and volunteering. Programs range from team building through GoogleServe Month of Service, to pro bono work such as working alongside Google.org grantees, to board service, where she placed over 200 Googlers on nonprofit boards. Diane is a founding member of Impact 2030 and helped to create the organization’s charter. She is also involved with the Global Corporate Volunteer Council for the International Association of Volunteer Effort, speaking at conferences around the world, as well as hosting regional meetings to encourage more collaboration between companies in their volunteering efforts. Diane has led Googler volunteering and giving to grow from 32 percent to more than 60 percent as the company’s employee base has grown from 32,000 to more than 70,000. More than 200,000 volunteer hours are logged annually. This award honors an outstanding Californian whose volunteer service is exemplary and inspirational. The Jefferson Awards Foundation has been a part of the San Francisco Bay Area for the last 10 years and has honored over 500 outstanding individuals in their community, in large part to Jack Russi’s strong commitment to service. The Jefferson Awards Foundation’s mission is to empower others to have maximum impact on the things they care most about. Jack, working with Deloitte, was also instrumental in creating the Jefferson Award’s Students in Action (SIA) program, with the goal of multiplying service and civic engagement in high schools and in the process, creating better education and job outcomes. He helped introduce SIA to 50 Bay Area high schools and over 500 nationally. To date, 2,000 youth in the Bay Area have been trained to be service leaders and have generated over two million volunteer hours and raised almost $2 million to invest in socially critical issues. Jack co-founded and co-chairs Inner City Advisors/Fund Good Jobs, which helps to grow inner city businesses and create jobs for those who need them most. Jack is also a Board member at Ronnie Lott’s All Stars Helping Kids assisting in funding start-up nonprofits focused on helping disadvantaged youth and is the Chair of the Haas School of Business Advisory Board. This award honors a California AmeriCorps member who has made a substantial impact to their community. Alice’s accomplishments have been instrumental in growing volunteerism at the nonprofit, National Alliance on Mental Health (NAMI) San Diego. Notably, she coordinated presentations in middle schools and high schools throughout San Diego to educate young people about mental illness and provided resources to more than 6,400 students, many of whom went on to become volunteers. She also writes a volunteer spotlight article for the monthly NAMI San Diego Newsletter. Alice is instrumental in developing opportunities for volunteers to have a voice and a platform to share their personal journeys in a nonjudgmental environment and utilize their strengths to gain confidence and champion breaking the stigma on mental illness. This award honors an outstanding state, county, or city agency or department that has demonstrated a remarkable dedication to engaging volunteers. Led by Secretary Scott Kernan, CDCR has enthusiastically demonstrated their commitment to growing their volunteer footprint at the 35 state prisons. Examples of their innovations include producing a video for Correctional Officers and volunteers to better understand the importance of volunteer work within the prisons, organizing a statewide Volunteer Advisory Board, and growing volunteer-based rehabilitation programs. This award honors an outstanding California disaster volunteer program that has demonstrated an unwavering service commitment to the local community. During the Oroville Spillway evacuation incident, CaliforniaVolunteers reached out to the Pacific Region NCCC Campus to support shelter operations at the American Red Cross Shelter, established at the Silver Dollar Fairgrounds in Chico. The first team of 13 NCCC team members arrived just hours after the shelter was opened. Additional NCCC teams arrived to assist throughout the time that the shelter was opened. In all, 43 NCCC team members assisted shelter operations in Chico with the last team leaving when the shelter was closed nearly two weeks later. While working at the shelter, the members assisted with meal service and cleaning duties, as well as setting up sleeping space for evacuees. They also acted as security and helped with all duties involved in closing the shelter. This award honors a California nonprofit that has shown an extraordinary ability to leverage volunteers in service to their organization. Celebrating their 150th Anniversary, the Sacramento Children’s Home has been dedicated to caring for their community’s most vulnerable children and families. Their mission could not be accomplished without the help of their generous donors and volunteers. From educating parents of infants and toddlers to teaching independent living skills to young adults, they are able to help the widest range of clients and address the widest range of needs of any child and family service organization in the county. Last year, volunteers served nearly 7,000 children and more than 4,600 families, focusing on building strong families and ending the generational cycle of abuse and neglect. This award honors a California-based foundation that has made a successful investment in service and volunteering models while addressing community needs. The Dolores Huerta Foundation is a multi-issue community driven organization that addresses the most pressing issues that Central Valley residents continue to face. Through hands on leadership opportunities, community members learn how to develop campaigns, engage local stakeholders, and work with their neighbors to advocate for change. Through its Vecinos Unidos (United Neighbors) program, the Dolores Huerta Foundation uses a grassroots community organizing model that empowers residents to determine and prioritize community needs, trains them to speak directly with public officials, and provides them with a platform to advocate for desired changes. Their organizers work with community members to host and organize monthly community forums in which a variety of topics are covered: immigration, health reform, and education. Intersectionality is core to the foundation’s training model addressing injustices that are intrinsically linked. In 2010, the Dolores Huerta Foundation launched the Weaving Movements campaign to promote working across silos. They are also a leader in a wide range of education, civic engagement, and civil rights coalitions in low-income communities in Kern and Tulare counties and statewide. The Dolores Huerta Foundation is connecting its groundbreaking community-based organizing to state and national movements to register and educate voters; advocate for education reform; bring about infrastructure improvements in long-neglected communities; advocate for greater equality for the lesbian, gay, bisexual, and transgender community; and create a strong leadership development pipeline. This award honors an outstanding California business with an innovative, high-impact volunteer program that exemplifies collectively giving back to the community. In a collaborative effort, the Giants Community Fund, the club’s 501(c)(3) non-profit, and the team’s Community Relations Department, work to identify, develop, support and raise awareness for people, issues and programs that are important to fans and communities throughout the Bay Area and Northern and Central California. The Giants’ work in the community translates into a variety of unique and progressive programs dedicated to addressing some of the most pressing needs of Northern California children and their families, including health, violence prevention, youth fitness and recreation, education and literacy. Each season, the Giants hold more than 375 community outreach and awareness programs and events. In addition, thousands of community organizations and groups gather at AT&T Park each season to celebrate their shared culture, heritage, and diversity while raising funds to support their school, organization or non-profit, including Girls Day, Bullying Prevention, and Step Up to the Plate for Homelessness. The Giants Community Fund’s flagship program, Junior Giants, serves nearly 25,000 boys and girls in 90 underserved communities throughout northern and central California and southern Oregon. It is a free and non-competitive baseball program that has served as a model for MLB youth initiatives. Using baseball as the hook, Junior Giants provides opportunities for children to learn the meaning of leadership, teamwork, confidence and integrity, as well as the importance of education, health and bullying prevention. Over 6,000 coaches, team parents and representatives of community organizations, generously dedicate their time and efforts to improve the lives of Junior Giants in their communities. Giants employees, from the players to the front office staff are expected to give back to the community. This award honors a group or individual who has uniquely met a community need with the power of service. Rita Holiday and Intel know volunteering builds goodwill and good business. Their global corporate volunteer program—Intel Involved—identifies worthwhile opportunities for individual volunteers and team projects, as well as days of community service. Intel employees make a difference around the globe by helping educate and train people of all ages. They advance initiatives to foster safe and healthy communities and use their technical knowledge to support endeavors where it is most needed. Intel has made an innovative connection with philanthropy linked to volunteering. When Intel employees commit hours, Intel commits dollars. The “Intel Involved” Matching Grant program awards cash grants to eligible organizations based on the number of hours that Intel employees volunteer. After a minimum of 20 hours has been accrued by Intel employees volunteering at a school or qualified nonprofit organization, a donation or “match” of $10 per hour volunteered will be triggered from the Intel Foundation with a maximum of $15,000 for schools, and $10,000 for other nonprofits, per eligible organization per year. In 2016 alone, volunteer hours in California totaled more than 305,000 hours. CaliforniaVolunteers is the state office that addresses state and community challenges by investing in high impact service solutions, while leveraging public, private, and nonprofit partnerships and resources. Through AmeriCorps, Disaster Volunteering, and Community Partnerships, CaliforniaVolunteers transforms small investments into community impact. For more information, please visit www.CaliforniaVolunteers.org. WASHINGTON, DC –Voices for National Service today honored CaliforniaVolunteers Commissioner Kathy McKim with the Citizen Service Award for her tireless efforts to strengthen service locally, statewide, and nationally, as well as for her ongoing efforts to help enhance the skills of AmeriCorps members and alumni. McKim was honored along with 17 other distinguished leaders in government, business and journalism at the 14th Annual Friends of National Service Awards in Washington, DC. Previous award winners include Senator John McCain, General Collin Powell, Chelsea Clinton, Caroline Kennedy, and more. The annual Friends of National Service Awards is an opportunity for Voices for National Service to recognize leaders from the public, private, and nonprofit sectors who have contributed to building a culture of citizenship, service and responsibility in America. A full list of the 2017 awards and honorees is available here. In communities across the country, national service members of all ages and backgrounds provide critical services to fulfill unmet needs. National service members tutor and mentor struggling students, help Americans lead healthier lives, provide job training and other services to returning veterans, preserve the nation’s parks and public lands, offer disaster relief and recovery assistance after natural disasters and support independent living for seniors and Americans with disabilities. For every federal dollar invested in national service, there are returns to society of nearly four dollars in terms of higher earnings, increased output and other community-wide benefits. Congress created the Corporation for National and Community Service (CNCS), the federal agency that oversees national service programs such as AmeriCorps and Senior Corps, to be a public-private partnership that invests limited federal dollars to leverage substantial private investment to improve lives and communities. In 2015, CNCS generated $1.26 billion in outside resources from private businesses, foundations, and other sources, an amount exceeding the federal appropriation. Furthermore, a recent survey of AmeriCorps alumni found that eight out of 10 alumni say AmeriCorps benefited and advanced their career path, and that AmeriCorps alumni are more likely to attain a bachelor’s degree or higher than the average American adult. The 14th Annual Friends of National Service Awards is sponsored by Comcast NBCUniversal and CSX. Kathy McKim, the Vice President of External Affairs at AT&T, is the Vice Chair of the CaliforniaVolunteers Commission. CaliforniaVolunteers is the state office that manages programs and initiatives to increase the number of Californians involved with service and volunteering, including the state AmeriCorps program and the management of volunteers and monetary donations during times of disasters. For more information, please visit www.CaliforniaVolunteers.org. Voices for National Service is a diverse coalition of national and local service programs, state service commissions and individual champions, who work to ensure Americans of all ages and backgrounds have the opportunity to serve and volunteer in their community. Founded in 2003, Voices for National Service has built strong bipartisan support among our nation’s leaders and helped to elevate national service as a powerful strategy for tackling unmet needs, preparing young people for work, uniting our country and developing civic character. CaliforniaVolunteers announced today that the Corporation for National and Community Service (CNCS) has awarded California more than $33.2 million in competitive and formula grants to 57 projects that support the environment, educational and economic opportunities, and disaster assistance throughout the state. CaliforniaVolunteers has also received nearly $1.3 million to fund planning grants for 18 different programs. Planning grants provide one-year funding to design and develop new AmeriCorps programs that can address community problems and demonstrate significant impacts. Since 1994, more than 120,000 California residents have served more than 150 million hours and have earned more than $360 million in education scholarships. CaliforniaVolunteers oversees AmeriCorps programs that engage nearly 4,000 AmeriCorps members who serve through nonprofit, faith-based, and local government at nearly 900 locations across the State of California. They are part of the nearly 8,000 AmeriCorps members who serve throughout the state. About CaliforniaVolunteers: CaliforniaVolunteers is the state office that manages programs and initiatives to increase the number of Californians involved with service and volunteering, including the state AmeriCorps program and the management of volunteers and monetary donations during times of disasters. For more information, please visit www.CaliforniaVolunteers.org. About AmeriCorps: AmeriCorps is administered by the Corporation for National and Community Service, a federal agency that engages millions of Americans in service through AmeriCorps, Senior Corps, the Social Innovation Fund, and the Volunteer Generation Fund, and leads the President’s national call to service initiative, United We Serve. For more information, visit www.NationalService.gov. SACRAMENTO, Calif. – CaliforniaVolunteers announced today that it is now accepting applications for 2016-17 AmeriCorps state planning grant funding in support of community partnerships that will engage AmeriCorps members to meet state and local challenges through service and volunteer action. The AmeriCorps planning grants provide funding to design and develop new AmeriCorps programs that can address community problems and demonstrate significant impacts. A one-year planning grant can support staffing costs, travel, materials, and other costs necessary to conduct a community needs assessment, bring together community partners to help design appropriate service activities to address community needs identified, develop financial plans to support cost share, and develop high quality plans for managing program implementation. The optional Notice of Intent to apply is due May 20, 2016 at 5:00 pm and the hardcopy application deadline is June 3, 2016 at 5:00 pm. Informational call-in sessions will be held on both May 13 and 19, 2016, where interested applicants can learn more about the application process. Today, April 7, 2016, California will be presenting the 2016 Governor’s Volunteering and Service Awards and the Hoffman Prize to honorees that have gone above and beyond in the world of service and volunteerism. Chief Service Officer Karen Baker will present the awards to the honorees in the Governor’s Council Room in the State Capitol in Sacramento today at 4 PM. Hoffman Prize – Bobbi Silten, Executive Vice President of Global Talent and Sustainability at Gap Inc. The Hoffman Prize recognizes an exceptional California business executive who demonstrates outstanding and impactful work fostering volunteerism in his or her local community, the State of California, the nation, and the globe. Bobbi Silten has led Gap Foundation at Gap Inc., overseeing its global community investments in women’s advancement and youth first jobs, and volunteer programs for employees worldwide. Bobbi was tapped to lead Gap Inc.’s Global Sustainability practice, where she is tasked with vendor monitoring and capability building, environmental sustainability, global stakeholder partnerships, and sustainable innovation. She served as a member of the White House Council for Community Solutions, which provided advice to President Obama on the best ways to mobilize citizens, nonprofits, businesses and government to work more effectively together to solve specific community needs. She co-led the Youth Employment Program working group, which developed the Connecting Youth & Business toolkit. She co-founded “Reimagining Service,” a five-year national cross-sector initiative to increase the impact of volunteerism, and served as the chair of the Reimagining Service Council until 2014. She serves on the Leadership Council for Opportunity Nation and is also a volunteer mentor to alumni of Summer Search, a national youth leadership program. This award honors an outstanding Californian whose volunteer service is exemplary and inspirational. Cheryl Antony is a well-known asset in her Shelter Cove community, a small town in Humboldt County. She is a firefighter, a first responder, a duty officer, a public information officer, a member of the Shelter Cove Community Emergency Response Team, a basic life support trainer, an EMT, and more. She is also active with Meals on Wheels, with her church, and as a Board Member. Cheryl received nine letters of support with her nomination. She inspires others by her dedication and devotion. This award honors a California AmeriCorps member who has made a substantial impact to their community. As a third year AmeriCorps member with more than 3,500 hours served, Desiree Farnal currently serves at YouthSERVE in Santa Cruz. She supports more than 400 teens to be the difference in their community with a number of service projects. For example, under her leadership, these teens tutored 100 seniors in personal technology through weekly sessions at the local senior center and community hospital. She always finds a way to say “yes” to teens who are interested in community service. This award honors an outstanding state, county, or city agency or department that has demonstrated a remarkable dedication to engaging volunteers. Under the Community/Law Enforcement Partnership Programs Unit, the Los Angeles County Sheriff’s Department has one of the largest Law Enforcement Volunteer Programs in the nation with over 3,500 volunteers assisting over 18,000 employees, who in turn serve over 10 million residents. The Community/Law Enforcement Partnership Programs Unit’s extensive experience with volunteer roles and best practices has become a “go-to” resource for California agencies wanting to create or revitalize their respective volunteer programs. This award honors an outstanding California disaster volunteer program that has demonstrated an unwavering service commitment to the local community. Volunteers from the San Francisco Neighborhood Emergency Response Team Disaster Corps Unit deployed to two areas of California – Lake County and Tulare County – that were experiencing a declared disaster and had an impact directly on residents, as well as assisted County officials by becoming a force multiplier for their efforts when there were too few staff to meet the need. This award honors an outstanding California business with an innovative, high-impact employee volunteer program. With values of “Do good,” “Impact the world,” and “Make Sacramento proud,” the Sacramento Kings engage volunteers to meet community needs focused on health, sustainability, and education. By investing their time, resources, talent, and passion, they are not only about rallying the community around their team, but also rallying them around meeting community needs. On October 15, 2015, California will be presenting the 2015 Governor’s Volunteering and Service Awards, and the Hoffman Prize to honorees that have gone above and beyond in the world of service and volunteerism. In addition, hundreds of the more than 7,600 new members in California will be sworn-in as a new year of service has begun. The Hoffman Prize recognizes an exceptional California business executive who demonstrates outstanding and impactful work fostering volunteerism in his or her local community, the State of California, the nation, and the globe. Susan Portugal is responsible for key employee engagement initiatives including the company’s nationally recognized global volunteer program and United Way Campaign. Under her direction, Bank of America Community Volunteers have driven more than 2 million hours annually of volunteerism by employees across the globe – from America to Singapore, India, Brazil, Mexico, Turkey, and the United Kingdom. Her leadership led to the company successfully achieving this impressive milestone, which gained national recognition as a top organization within Points of Light Foundation’s Civic 50 annual ranking. Susan is responsible for the company’s national United Way Campaign, through which Bank of America employees pledged $18.6 million to support thousands of nonprofits across the country in 2014. Additionally, under Susan’s leadership, the company has made advances in integrating its volunteerism as a key component of broader corporate social responsibility initiatives, including campaigns focused on hunger, military, and financial education. This award honors an outstanding Californian whose volunteer service is exemplary and inspirational. Donna Johnson, known to her East Porterville neighbors as the “Water Angel,” saw a need to bring attention to the disaster the current drought has become in her community. Donna worked with local businesses to collect donations of water, paper products, and containers to be used for storing water. She purchased pallets of water with her own funds and began delivering families bottled water to their doorsteps. She went door-to-door introducing herself and offering drinking water along with her smile. Donna developed routes and delivery schedules to deliver her gift of water. Her list of water recipients has grown to nearly a hundred households. The increasing need only fueled her desire to help. As a result of her efforts, over 80 countries and dozens of both local and national media outlets have taken an interest in the small community of East Porterville. Response efforts increased as local agencies, governments (Federal, State and Local), non-profit organizations, and the faith-based community, began a coordinated relief effort that has resulted in further development of both short and long term water solutions. This award honors a California AmeriCorps member who has made a substantial impact to his or her community. Sara Kokkeleberg has made a substantial impact to her community through her work and through her incredible attitude and personality. Sara’s work on the Eastside Pollinator Garden Project has been exemplary. Through her dedication, expertise, and organization, she has been the main reason the project has been so successful. In just two short seasons, she co-created the project, which included promoting and educating our community about the importance of pollinator-friendly habitats, generating funds for this project in her service term, and certifying 37 gardens in the first year, with another 20 in progress for this year. Through this project, Sara has helped broaden the Community Connections Program and has provided outreach to many youth groups and community members, instilling them with an appreciation for the Eastside that she has discovered. Sara has exhibited professionalism, excellent communication skills, the ability to assimilate new information quickly, and how to then teach others this information. Due to her engaging personality, many members of our community have increased their engagement with gardening, land conservation and volunteerism. This award honors an outstanding state, county, or city agency or department that has demonstrated a remarkable dedication to engaging volunteers. LEAP (Lake Evacuation and Animal Protection), under the Lake County Animal Care and Control Department, worked tirelessly for 120 hours with nearly no rest to evacuate and shelter 400 large and small animals from the explosive Rocky Fire, which burned 69,438 acres and destroyed 96 buildings, including 43 homes. Some of the notable animals rescued included and Italian-speaking parrot named Rupert who would wish his temporary caretakers ‘good night’ each night, and an exceptionally heavy tortoise that volunteers needed to help lift so it could be evacuated. This award honors an outstanding California disaster volunteer program that has demonstrated an unwavering service commitment to the local community. San Bernardino County CERT has strengthened countywide preparedness by coordinating a comprehensive program where residents receive CERT training, attend subsequent training throughout the year, and utilize this training in significant contributions of service during actual disasters. Two new unincorporated programs, four municipal programs, and one campus CERT program have been newly created, with another seven unincorporated programs and six municipal programs being revitalized. Additionally, a Spanish-based preparedness curriculum, Listos, has been delivered by CERT volunteers in two communities, training over 150 Spanish-speaking residents in its first year. This extensive training helped with the ability to activate CERT volunteers, most recently during the Lake and North Fires. Eight different CERT programs were activated; utilizing 83 CERT volunteers to donate 1,636 hours of volunteer service. This award honors a California nonprofit that has shown an extraordinary ability to leverage volunteers in service to their organization. ElderHelp of San Diego delivers direct services to seniors through dedicated volunteers. Through their services, they help seniors save thousands of dollars each year. Their services include free in-home services, which replace expensive services offered by home care agencies, as well as constant monitoring combined with strong health advocacy to keep seniors out of expensive nursing homes. Last year, ElderHelp assisted 5,592 seniors, either through direct services or by providing resources, and expect to serve thousands more in the future. In addition, ElderHelp services contribute to cost containment for the healthcare industry by providing continuing care, reducing hospital days for clients by nearly one-third, and preventing hospital readmissions due to falls by 91 percent. ElderHelp volunteer visits and caring assistance make a significant difference in reducing loneliness and isolation by two-thirds, as shown through impact studies. Another vital service ElderHelp provides is a ride service called Seniors-A-Go-Go, which provides transportation for seniors from home to the store, to doctors or therapy appointments, or even to movies and social outings. Last year alone, ElderHelp volunteers logged over 10,000 hours serving seniors in the community. This award honors a California-based foundation that has made a successful investment in service and volunteering models in addressing community needs. Syar Industries Foundation has valued civic involvement by encouraging employees, customers and foundation awardees to increase volunteerism. In the past, Syar Industries’ employees have participated in numerous days of service or holiday opportunities. To highlight a few, employees have participated in coat drives, fundraisers, women shelters, and many others. Syar and their subsidiaries host annual drives to produce toys and coats for local families. Syar understands that an agency cannot successfully deliver on their mission without the funding for the sustainability of strong volunteer programs. Syar Industries Foundation provided the Center for Volunteer and Nonprofit Leadership’s Napa office funding in the amount of $29,000 each year for three years to provide Service Enterprise Initiative (SEI) training to nonprofit agencies in Napa County. The funding resulted in expanding SEI to Napa County with 13 local agencies in the first funding year. The generous three-year commitment provided by the Syar Foundation in support of this project has been instrumental to early success. This award honors an outstanding California business with an innovative, high-impact employee volunteer program. AT&T has taken steps to encourage students to successfully complete high school and go on to college or a career. Their Aspire Mentoring Academy provides flexible options to mentor students, designed to work around our employees’ schedules. Last year in California, AT&T employees attended 70 work and school events, impacting 5,800 students including over 26,000 hours of mentoring. AT&T has also taken steps to assist in drought relief efforts. In 2014, the leadership of AT&T California asked employees to reduce water usage, including a reduction in the washing of AT&T’s California fleet of more than 15,000 vehicles, reducing facility landscape irrigation by half, and turning off all decorative water fixtures in buildings. Last year, AT&T reduced water use in California by almost 10 percent, equaling approximately 70 million gallons. Furthermore, AT&T supported a team of five robotics students from a Fresno Elementary school, nicknamed the “Fab 5,” who wanted to improve the way people learn about water conservation. They researched and conceived a mobile application to help local residents track their water use in real-time using their mobile device. AT&T’s $25,000 contribution, along with support from the City of Fresno and the Fresno Chamber of Commerce Foundation, provided full funding to develop and deploy the app in the City of Fresno. This commitment also jumpstarted additional fundraising efforts, now being led by the Fresno Chamber of Commerce, to support a public education and marketing campaign to promote use of the app among residents. CaliforniaVolunteers announced today that the Corporation for National and Community Service (CNCS) has awarded $26.4 million in grants to 47 projects that support the environment, educational and economic opportunities, and disaster assistance throughout the state. Annually, CaliforniaVolunteers oversees AmeriCorps programs that engage more than 3,000 AmeriCorps members who serve through nonprofit, faith-based, and local government at more than 900 locations across the State of California. They are part of the nearly 7,600 AmeriCorps members who serve in more than 1,600 sites in California. Since 1994, more than 900,000 Americans have provided more than one billion hours of service addressing critical challenges from poverty and hunger to disasters and the dropout crisis. 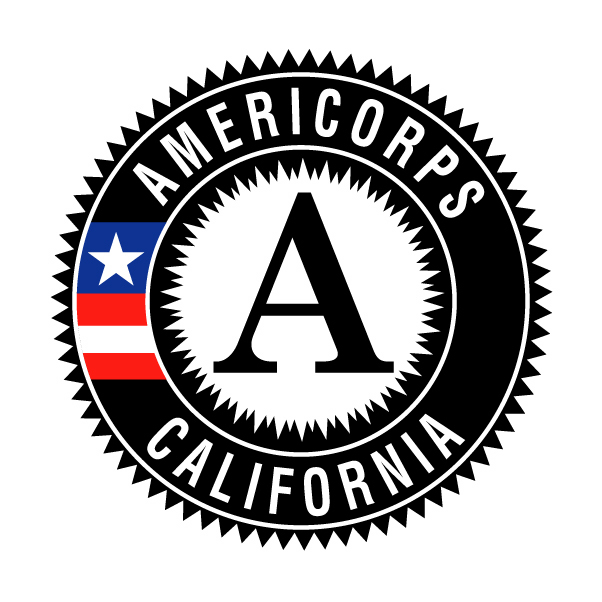 In California, nearly 120,000 AmeriCorps members have served close to 150 million hours and earned almost $341 million in education scholarships. California AmeriCorps members supported by these grants are eligible to earn approximately $15 million education scholarships to help pay for college or to pay off student loans. Disaster Services – Programs in this area will help communities when disasters strike, as well as assist in pre-disaster training. Economic Opportunity – Members will assist in job placement and training in these programs. Education – Various tutoring methods will be used within these programs to assist high-need students from kindergarten through high school. Tutoring will include areas such as reading skills, anti-bullying, behavioral, and school gardening. Environment – Programs in this area will improve the environment through restoration of watersheds and trails, as well as making wilderness areas safer and more accessible. Health and Human Service Needs – Members in these programs will connect communities to healthcare and education resources, as well as strengthen parental education for positive impacts in families.